Every Year,the BBC Radio 2 organises a writing competition for kids aged 5-13. You will need to write a fictional story no more than 500 words. There a two age catagories: 5-9 & 10-13. Entry opens on Monday 18th January 2016 at 08:00. Entry closes on Thursday 25th February 2016 at 19:00. 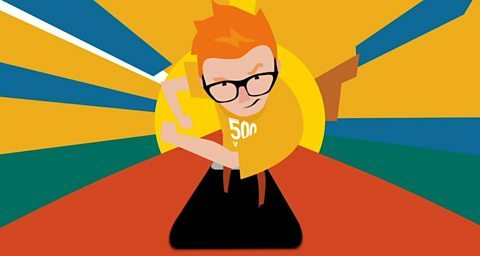 Type your story on your computer and once you have finished writting , copy and paste it to the competition website (https://500words.external.bbc.co.uk/opportunity/1). Also make your writing very creative. Remember to take permision from your parents , guardian or teacher. The first round will be juged by a lot of teachers , libarians . The top 50 entries will recieve a pair of tickets the final. These top 50 entries will be read and judged by a guest panel chaired by Chris Evans. 3 finalists with 1 overall winner will be selected in each age category (gold, silver and bronze – gold being the overall winners). The 6 finalist will be invited to attend the final at a London location on Friday 27th May 2016 for the live broadcast of the BBC Radio 2 Chris Evans Breakfast Show. The entries from the 6 finalists will be performed by an actor or well-known figure and broadcast on Radio 2. Prizes will be awarded to the 3 finalists in each age category: the 2 Gold winners will win Chris Evans’ height in books (6.2″) and 500 books each for their school. The 2 Silver winners will win Alex Jones’ height in books (5.6″). The 2 Bronze winners will win their own height in books.